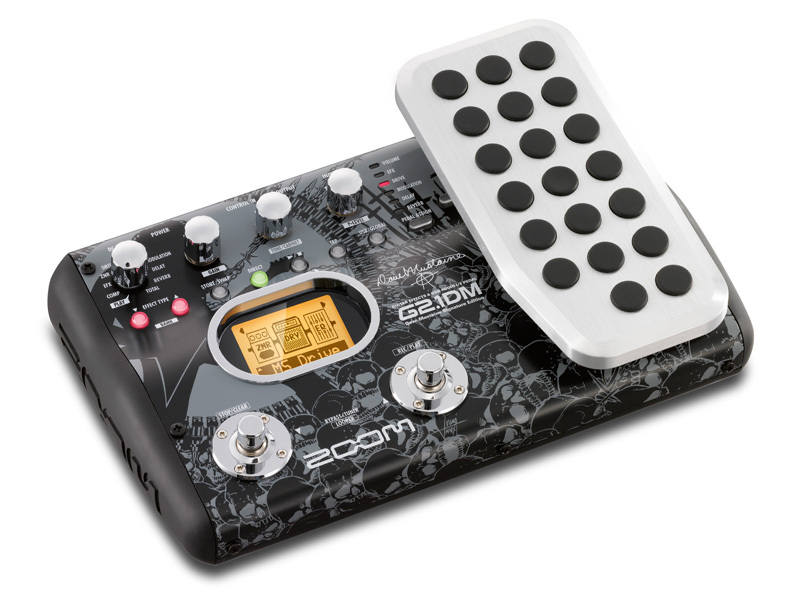 Metal guitar legend Dave Mustaine has joined forces with Zoom to bring you the ultimate metal guitar effects pedal. The G2.1DM incorporates patches personally designed by Mustaine that span his remarkable career. From heavy, driving distortions to his distinctive lead tones, the G2.1DM lets you play like a metal icon. * The package includes specially designed pick, post card, and replica backstage pass from the "Peace Sells... But Who's Buying" tour! * This unit has the same functions as the G2.1Nu.